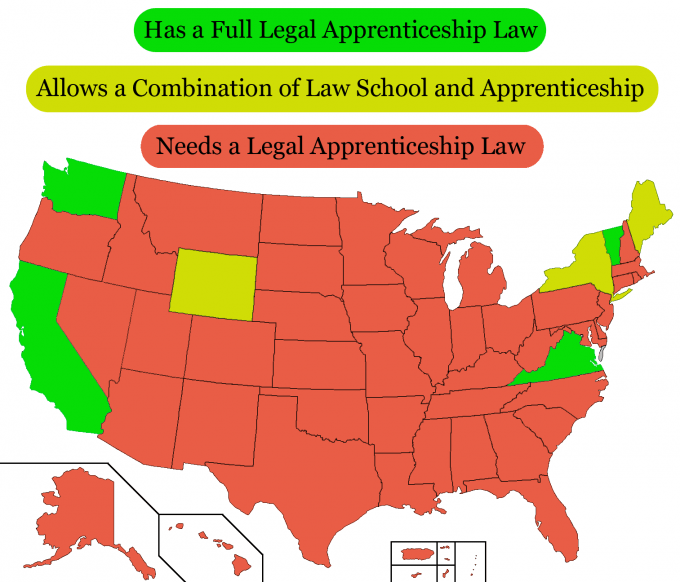 Most states still do not allow people to become lawyers via apprenticeship, and citizen advocacy can change this. A surge of interest in legal apprenticeships will likely drive this change, fueled by growing discontent with and within the legal profession and legal education. Whether you are a citizen who is concerned about access to legal services or an aspiring lawyer, I recommend that every interested person begin reaching out to legislators to seek champions in the effort to diversify the pipeline toward the legal profession. 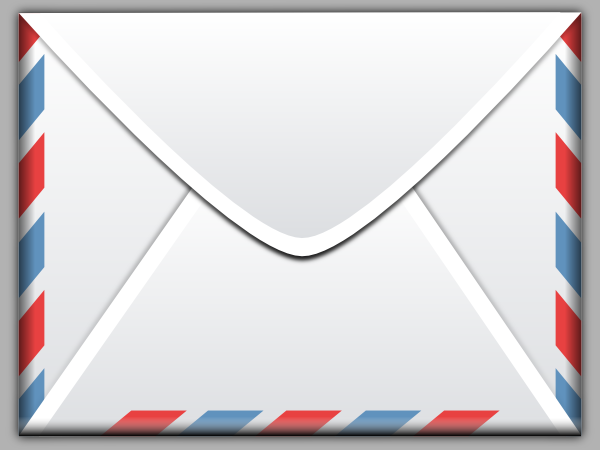 I am writing to ask you to help expand access to the legal profession by authoring or sponsoring a bill to establish law office apprenticeship as a recognized pathway toward becoming a lawyer in this state. The vast majority of people do not have affordable access to necessary legal services, and law school has become less accessible to people wishing to serve the legal needs of our communities. California, Washington, Virginia, and Vermont allow people to take the bar exam after 3 to 4 years of study and apprenticeship in a law office. New York, Maine, and Wyoming allow people to qualify to take the bar exam through a combination of apprenticeship and 1 to 2 years of law school. Lawyers trained through such practice-based law study could bring countless benefits to our state, including diversification of the legal profession and expansion of legal services in rural and under-served communities. The need for a diversified pipeline has become pressing for many reasons. Tuition at most law schools has risen sharply in recent years, and most students graduate with burdensome debt that narrows their professional options. In general, law schools are widely criticized for failing to prepare students to practice law, since very few law students gain significant practical experience prior to licensure. In addition, there are many people in our state who could be excellent lawyers, but they are blocked from doing so for many reasons: They cannot feasibly relocate to a community with a law school, family or work demands prevent them from attending law school full time, they are not eligible for educational loans, they do not find a classroom to be an optimal learning environment, and so on. There are also many non-lawyer staff at legal service organizations who could broaden legal services for communities if they were able to become licensed attorneys by apprenticing in their current workplace. Overall, there are many ways in which our state, its citizens, our justice system, and the legal profession would benefit from diversification of the pathways to becoming a lawyer. I hope you will consider leading or supporting such an effort! By the way, states vary in how they set bar admissions rules. In many states, bar admission rules are set by a Board of Bar Examiners, often appointed by the Supreme Court. While it is possible that such a Board could initiate a rule change, it is perhaps more likely that change will come via state legislatures, which likely empowered the rule-makers to begin with, and which are more directly accountable to citizens. In some states, such as Alaska, Maryland, Massachusetts, Michigan, and Mississippi, the legislature is more directly involved in bar admissions rulemaking, which may make a rule change easier in those states. Initially, it may seem unusual to intervene in the legal profession’s rulemaking via state legislation, since the legal profession in the United States has been largely self-governed since the late 19th century. However, I expect we’ll see a trend toward public intervention in the rules and regulations of the legal profession, since the profession is falling short on its promise and duty to society, as shown by the significant gap in access to legal services. Trends toward external regulation have already begun abroad, such as through England’s Legal Services Act of 2007, which imposed external rules and governance on the profession in order to advance certain goals in the interest of justice. It’s a good reminder that society has placed a great deal of trust, responsibility, and privilege into the hands of lawyers, and it’s perfectly legitimate for society to intervene if the profession isn’t fulfilling its end of the deal.